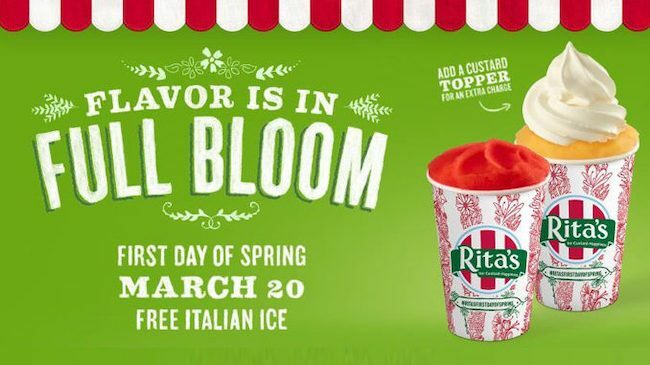 Rita’s is spreading the spring cheer with free Italian ice on March 20! This Wednesday, March 20, is the first day of spring, and although spring normally brings showers and flowers, some stores are bringing us frozen treats. Just as they have for over 20 years, Rita’s Italian Ice is celebrating the first day of spring by treating their loyal fans to free Italian ice. 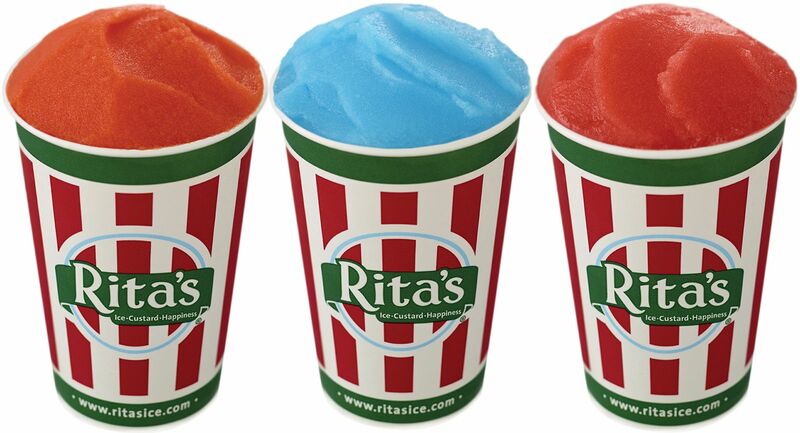 Head to any participating Rita’s location from noon to 9 p.m. on Wednesday, and you can snag a delicious 7-ounce cup full of Italian ice to cool you down a warm, spring day. There is a limit of one promotional cup of Italian ice per customer. You can also choose to liven up your ice with a custard topper for an additional cost. This year, Rita’s is offering free Italian ice for an entire year to the person that’s the most excited for "Ice Storm Rita." Post a picture of yourself, your Italian ice, and your excitement to social media using #RitasFirstDayofSpringContest until midnight on March 22, and you could win the prize of a lifetime. With the weather finally getting warmer, it’s time to shed off some layers and fill your stomach with delicious frozen goodies. Leave a comment below, and let us know if you’ll be heading to Rita’s to ring in the start of spring! Rita's isn't the only spring promotion freebie going on -- Dairy Queen is giving out free cones on Wednesday, March 20, too! Learn all about it here!